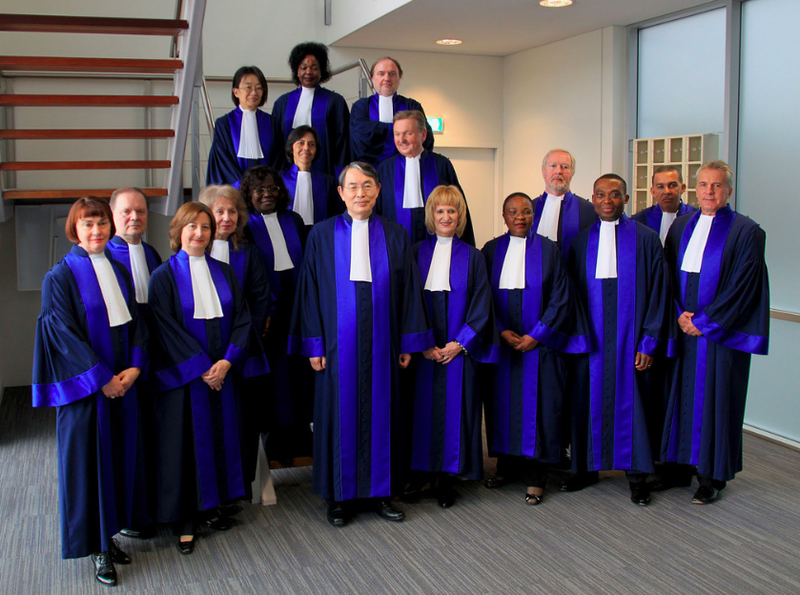 Could the International Criminal Court be a Development Agency? 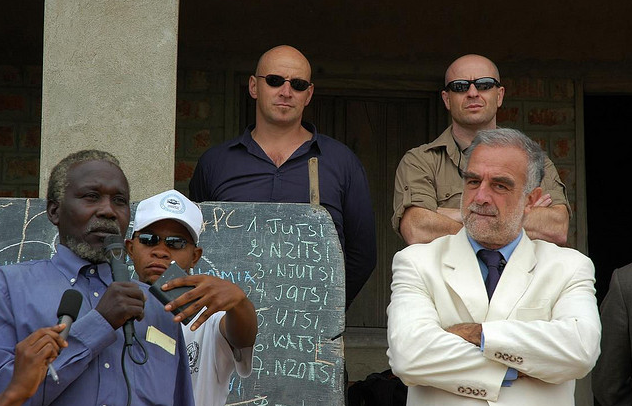 Teddy Nicholson joins JiC with this unique and insightful guest-post on the relationship between development and international criminal justice. A version of this piece was originally posted on the new site, The Development Blog. Check it out! When we talk about the growing field of international criminal law, and especially the International Criminal Court (ICC), our first image is generally of warlords and political leaders sitting in the dock. It’s not an image of a development agency. There are good reasons for this and to begin this post by answering the question ‘Is the ICC a development agency?’, the answer is no – the ICC is definitely not a development agency. However, that answer obscures an important and increasingly rich debate within international justice circles about how to pull the fields of international criminal law and development closer. There is a tendency in international affairs to separate issues into defined silos. Security people deal with military issues,diplomats and ‘IR-types’ with foreign policy, international justice people with courts and tribunals, and development people with development. It is of real note and interest therefore, when these sectors begin to intersect, in particular when they do so in unexpected and unforeseen ways. We start to see the possibility for a more holistic view of international affairs through a degree of joined-up thinking. Over the past few years, the discourse surrounding the International Criminal Court has slowly but steadily begun to incorporate issues not just of law, but also of development. This was neither intended nor desired by many of the architects of the ICC, and yet it has been a logical consequence of the way in which the Rome Statute has been drafted. Some context is necessary. The purpose of the ICC is to investigate and prosecute individuals who are alleged to have committed war crimes, crimes against humanity, or genocide. This it has done with varying degrees of success in eight countries since its inception in 2002 – two trials have been completed and a number of others are ongoing. Throughout this time, the Court is frequently accused of having an anti-Africa bias given that all eight situations under investigation are relating to African states. The criticism is somewhat legitimate, and there are plenty of reasons for this. One of them is to do with the way the ICC’s jurisdiction works. The ICC’s doctrine of “complementarity” distinguishes the ICC from previous international courts (see Yugoslavia and Rwanda) which had primary jurisdiction – if they wanted to try a case they could do it, even against the objections of the state in question. The ICC by contrast is forced to defer to States and only proceed if the state cannot or will not do so itself. This idea has been under discussion by the States that are parties to the Rome Statute for a number of years now, since it implies far more than the simple idea that the Court must back off if the State in question investigates and prosecute international crimes. It means that States Parties to the Rome Statute have something in between an incentive and an obligation to develop their justice systems to the point where they are capable of handling cases against the perpetrators of these crimes. This suddenly places the ICC squarely in the field of development. We now have an image of what true “joined-up” thinking between international justice, the rule of law, and development might look like. The idea, which remains poorly articulated and defined, is that the ICC is an institution that is to be seen as the tip of the iceberg of an enormous, global “Rome Statute system”. This means that when a State becomes a party to the Rome Statute, they have an international legal obligation to ensure that they do not allow a justice gap to emerge. They are obliged to prosecute alleged perpetrators of crimes domestically, but if they cannot or will not then the ICC can step in. Politically speaking, it may be embarrassing for a state to allow the ICC to intervene. The image of the Court opening an investigation is a clear signal that that state’s judicial system is inadequate and that the state’s rule of law is not sufficiently developed. Therefore, in order to avoid this, states have a fairly clear incentive to develop their judicial systems to the point where they can do it themselves. This is far from theoretical – the Office of the Prosecutor (OTP) opened a Preliminary Examination (the stage before a formal investigation) into the conflict in Colombia in June 2004, shortly after the ICC was established. Over the past decade, the OTP has repeatedly engaged with Colombia as a partner and used the possibility of opening an investigation as a way of spurring the government to improve their judicial record. This has been far from a smooth process, but progress has definitely been made with some improvements in the Colombian judicial system and an increasing focus by the government on ensuring that prosecutions do happen. In Libya, after the rebels successfully overthrew the Gaddafi regime and Saif Gaddafi was captured, the new government submitted a legal challenge on complementarity grounds to the admissibility of the case against him that the ICC had brought. This initiated a legal process that lasted 13 months until a decision was finally issued (denying the Libyan challenge). During the process however, the Libyan government went to great pains to show that they were improving their justice system in order to end impunity for Rome Statute crimes. These examples can have any number of caveats, reservations, and counter-examples to them, especially when it comes to trusting states at their word. However they are not meant to be conclusive so much as illustrative of the fact that there is a political incentive created by the ICC that encourages states to invest in development of the rule of law and their judicial systems. But the link between the ICC and development does not stop there. The Assembly of States Parties (the governing body of the ICC formed of all States that have ratified the Rome Statute) has spent the last few years discussing this notion of “positive” complementarity beyond the day to day activities of the Office of the Prosecutor. States have acknowledged that by helping nations develop in a way that is specifically targeted to the rule of law and judicial systems, they contribute to the preventative impact of the ICC. A mechanism has been established in the Secretariat of the Assembly of States Parties (the interface between the ICC and States) which provides a portal where states can inform others of their “complementarity related capacity building needs” which can then be transmitted to states, international organisations, NGOs and other development actors that have agreed to assist in this respect. Coming from an international criminal justice background, this way of thinking can often seem like a long way away from development, especially when the ICC can look like an overly legalistic ivory tower. However, one of the best things about the ICC has always been its ambition to break new ground, conceptually and in practice. 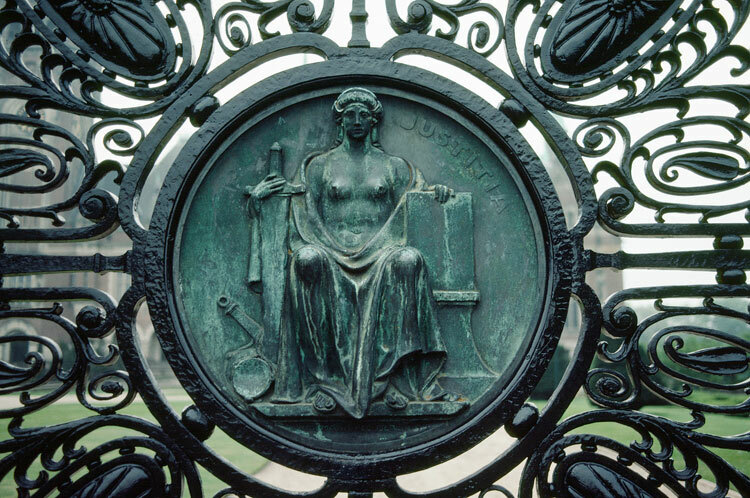 The idea of joining up international criminal law and development is certainly an idea worthy of that heritage. This entry was posted in Development, International Criminal Court (ICC), International Law, Justice. Bookmark the permalink. 2 Responses to Could the International Criminal Court be a Development Agency? When I first start reading the post, it immediately came to my mind the target of the ICTR to “strengthen the courts and judicial system of Rwanda” which simply was “a bridge too far” as a target. From this point of view, I share the idea of some role for the ICC in pushing the development of an effective national judicial system, but -of course- this is only possible insofar the ICC has first gained some credibility as impartial international actor against impunity. If it can be challenged on the basis of “racial” or “colonial” bias, it would be difficoult for the Court to see as a legitimate model for impartial judicial developments. Furthermore, it requires some “State building” within States that goes beyond the common issues of developing States, where judicial systems are often influenced by political, religious or ethnic views. For sure, overcoming these undue influences is neither part of development agencies, nor of the ICC. From this point of view, to me the ICC could rather be an “historical factor” in fuelling such changes.